Out of these three, checking the speed of your blog/website is very important in order to make your blog a success. You have loads of quality content but a visitor has to wait long to get the site fully loaded. This reduces the interest of the visitor and gradually will reduce interest to all the visitors heading towards your blog. Moreover, your bounce rate would also decrease if you have a fast-loading blog provided that there is quality content. 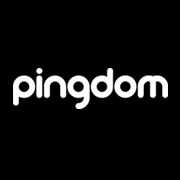 Thanks to Pingdom, with its tests, it is easy to find out how long your blog would load. The page test loads the complete HTML page with all the objects in the site such as images, CSS,flash, rss and iframes. It then gives you the total time required to load your blog. and also the summary of all the files that are loaded while entering your blog. DNS health tests the DNS servers for the domain name to check if its servers are configured correctly. This test is not required for those who are running on free blogging platforms. Ping and Traceroute gets the outside view of the network response time and the topology of the network. This means, it sends out packets to the servers and sees how fast it receives its. Simply, to see if the server is alive or not. Test your blog today in Pingdom and take the necessary steps to make your blog even better! Remember: faster your site, more the visitors ! Motorola Kore -The Next Tablet ? Your Welcome Arielle, Glad you liked it ! !